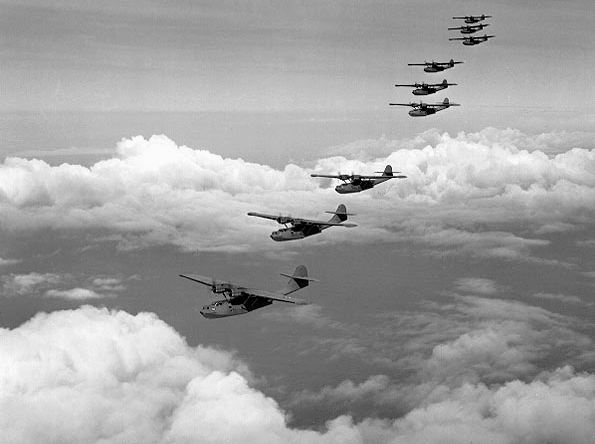 Consolidated PBY-5 Catalina BuNo 2419 was flown by Ensign William Tanner of VP-14 on 7 December 1941. Tanner had been warned “to be alert during this period of great tension”. A few hours before the Japanese air raid, Tanner spotted a Japanese midget submarine trying to penetrate the harbor and destroyed it with the assistance of the destroyer USS Ward. Catalinas of VP-14 in November 1941. The closest aircraft, 14-P-1, was assigned to VP-14’s commanding officer and was used the one by Tanner and his crew to destroy a Japanese midget submarine shortly before the Japanese attack on Pearl Harbor.